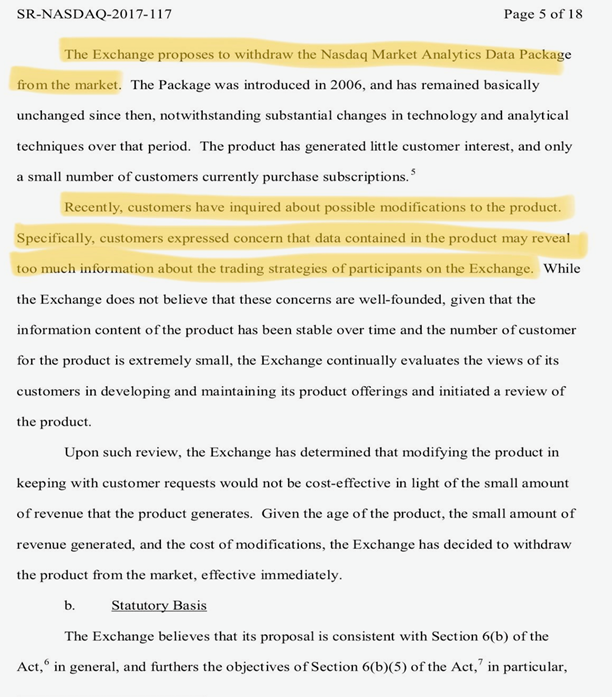 Nasdaq just filed with the SEC to withdraw the provision/selling of its Market Analytics Data Package that includes the Market Velocity and Market Forces data products. These products, which have been around for 12 years, take all customer data – buys/sells/cancels – and package them into sentiment products that can be used to short term trade. NASDAQ has been selling these products since 2006. 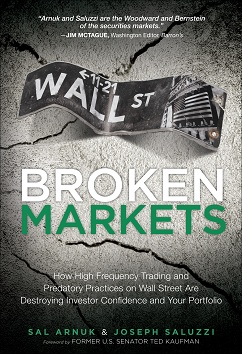 While recently there has been less demand for these products, as the super savvy and fast HFTs have their own models that they continually are tweaking that accomplish the same things, their existence emphasizes the NASDAQ mindset and culture. They seem to be saying that people should not be concerned that NASDAQ leaks information because they have been doing this for 12 years. 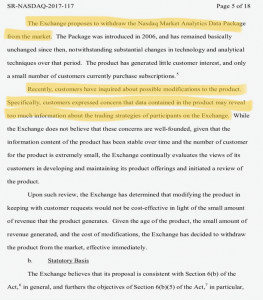 Exchanges have been packaging and reselling YOUR data for years now. This is a huge business and most investors don’t even realize that their own data is being used against them.